The content on the www.fitnessbodystar.com website including without limitation, all text, graphics, images, photos, code, multimedia files, interactive service marks and logos are owned by or licensed to FitnessBodyStar company, and are subject to copyright and other intellectual property rights under international laws and international conventions. The content on the fitnessbodystar.com website is provided to You as is for Your information and personal use only and may not be used, copied, reproduced, distributed, transmitted, broadcast, displayed, sold, licensed, or otherwise exploited for any purpose whatsoever without the prior written consent of FitnessBodyStar company or as expressly provided herein. You agree not to circumvent, disable or otherwise interfere with security related features of the Website or features that prevent or restrict use or copying of any content or enforce limitations on the use of the fitnessbodystar.com website or the content. 2CheckOut.com Inc. (Ohio, USA) is the exclusive authorized retailer for goods and services provided by FitnessBodyStar. All payments for goods on the fitnessbodystar.com website are handled through 2Checkout. We stand behind our products and your satisfaction with them is important to us. However, because our products are digital goods delivered via Internet download we generally offer no refunds. If you change your mind about your purchase and you have not downloaded our product, we will happily issue you a refund upon your request. 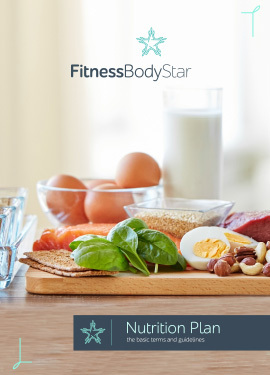 By use of the fitnessbodystar.com website, you agree to indemnify and hold FitnessBodyStar company harmless from any claim or demand, as well as losses, expenses, damages and costs, resulting from any violation of these terms of service or any activity related to your account (including negligent or wrongful conduct). FitnessBodyStar company reserves the right to modify the price of FitnessBodyStar products at any time. Such notice may be provided at any time by posting the changes to the FitnessBodyStar website or FitnessBodyStar social networks. FitnessBodyStar company reserves the right at any time and from time to time to modify or discontinue, temporarily or permanently, the fitnessbodystar.com website (or any part thereof) with or without prior notice. FitnessBodyStar company shall not be liable to You or to any third party for any modification, suspension or discontinuance of the fitnessbodystar.com website. FITNESSBODYSTAR COMPANY IS NOT RESPONSIBLE OR LIABLE FOR ANY LOSS OR DAMAGE OF ANY SORT INCURRED AS A RESULT OF ANY DEALINGS WITH ANY THIRD PARTY WEBSITE OR MERCHANT OR OPERATOR OF SUCH A THIRD PARTY WEBSITE. FitnessBodyStar company collects important customer information in an effort to enhance and personalize your shopping and experience. This information allows us to communicate with our customers about our products, services and promotions. When you place an order, submit your account information, our website collects your personal information such as your name, e-mail address and mailing address. FitnessBodyStar company will use your information collected online to process and fulfill your order. Additionally, your e-mail address may be collected at various points within the fitnessbodystar.com website (including when you place an order with us) so that we can send you any necessary e-mail messages related to your order, such as order and shipping confirmations. In addition, we maintain a record of your purchase history, product interests, and whatever other membership details that might enable us to improve your shopping experience. Analytics such as website use and traffic patterns are also considered to help us improve the design of our website, the products we make and exclusive services we offer. We understand and recognize that we must maintain and use customer information responsibly. All payment details are collected and secured by 2Checkout, our payment provider. 2Checkout is a committed partner to protecting us, our business and you as our customer. 2Checkout combines technical and physical safeguards with employee policies and procedures to protect your and our information. By using this nutrition guideline YOU will be able to make the diet plan for yourself. How is that possible? Well, it will be easy because we will guide you through this booklet from the beginning to the end. We will teach you how to perform body measurements, how to read the values you get and how to transform them into something meaningful to you. In this booklet you will find everything about nutrition, written in a simple language supported by many examples derived from our personal lives. activity. At last, we will provide you a 14 full days meal plan + detailed recipes which can be used as guideline for your future diets and as a good starting point. You will surely enjoy the booklet.